Posted on October 12, 2016 by Mrs P.
One great plus of this decade’s Scandi crime-drama boom has been getting Brits into subtitled international crime drama from Europe and beyond. In recent years, this trend has also fuelled the success of Welsh-language crime drama Y Gwyll (Hinterland), which has been deftly exported back to a number of European countries. 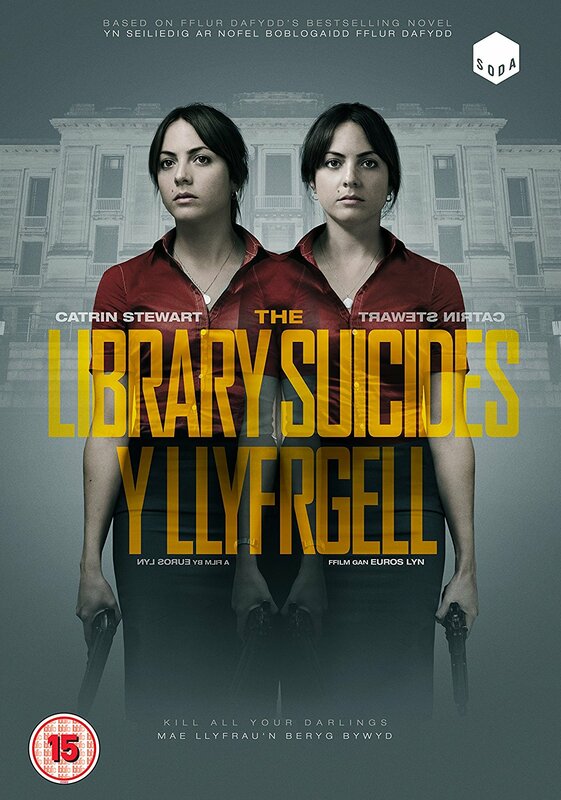 Welsh-language thriller The Library Suicides (Soda Pictures, 2016) is enjoying similar success. Adapted from Fflur Dafydd’s bestselling novel Y Llyfrgell (The Library) and directed by Euros Lyn (Doctor Who, Sherlock, Broadchurch, Happy Valley), it received the prize for ‘Best Performance’ at the Edinburgh International Film Festival and was nominated in the ‘Best Film’ category at the Oldenburg International Film Festival in Germany. I watched it on the big screen at Swansea’s The Taliesin this week and loved it. 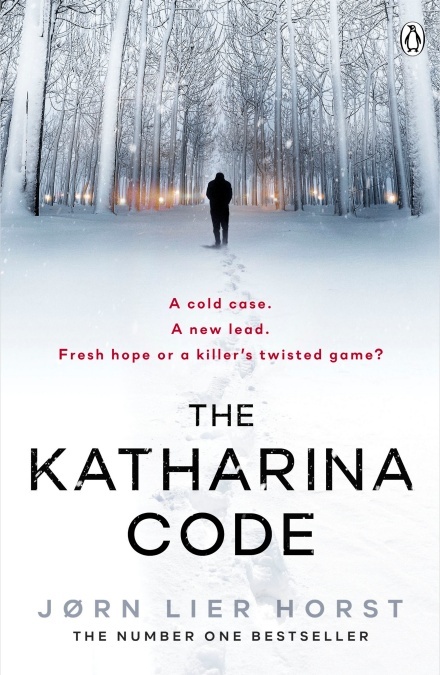 This stylish, clever thriller had me gripped from the outset. The twins are superbly played by Catrin Stewart, with a fantastic supporting cast – especially spliff-smoking night porter Dan (Dyfan Dwyfor). The film’s tone moves seamlessly from high tension, as the twins track Eben through dark corridors, to laugh-out-loud black comedy, and makes ingenious use of the library’s secret spaces as a setting. 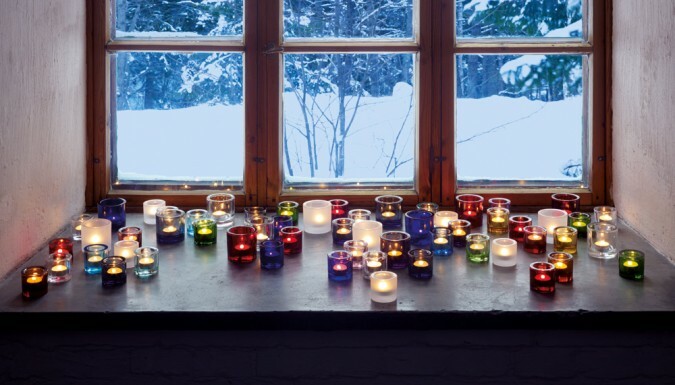 As well as exploring the effects of grief and loss, the film examines the ways in which we remember, create and tell stories about ourselves, and the effects these stories can have on others. Click here to see a clip. After the film, there was an illuminating Q&A with writer Fflur Dafydd, who is also a lecturer in creative writing at Swansea University. She talked about the six-year process of getting the adaptation made with various partners including BBC Films, and the kinds of compromises that are required of the writer along the way. For example, while the film is clearly based on the book, some core elements were changed (the film is set in the present rather than the future), and the experience of the director and production team sometimes guided decisions – such as cutting certain scenes in order to maintain the pace of the film. Fflur also spoke about the reception of the film in different places. In Edinburgh, audiences had viewed it primarily as a thriller rather than as a Welsh-language film, while in Germany, there was a positive response to hearing Welsh for what was probably the first time. 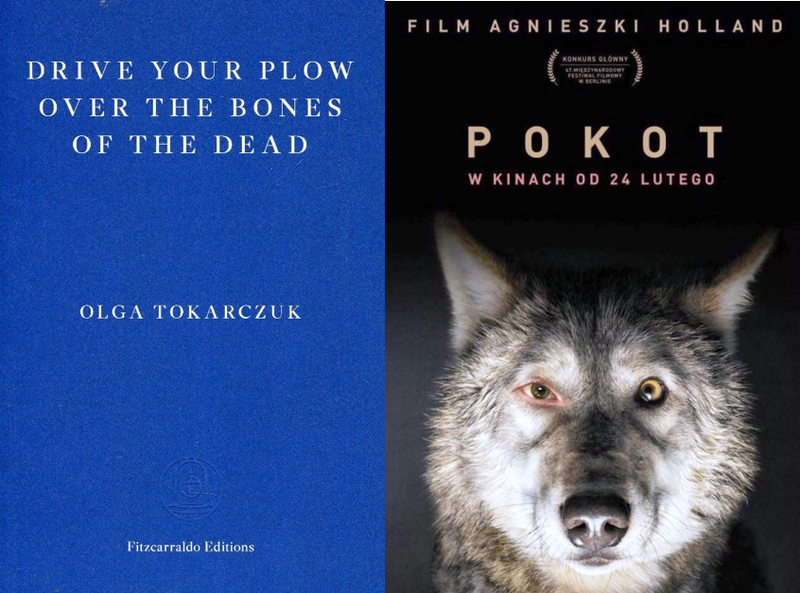 The English title was extended in translation from The Library to The Library Suicides for commercial reasons – and as a nod to the novel The Virgin Suicides. The CWA (Crime Writers’ Association) Dagger Awards were held last night at a swanky gala dinner in London. Here are the winners – many congratulations to them all! Goldsboro Gold Dagger for the best crime novel of the year – Bill Beverly, Dodgers (USA, No Exit Press). The story of a young LA gang member named East, who is sent by his uncle, along with some other teenage boys, to kill a key witness hiding out in Wisconsin. 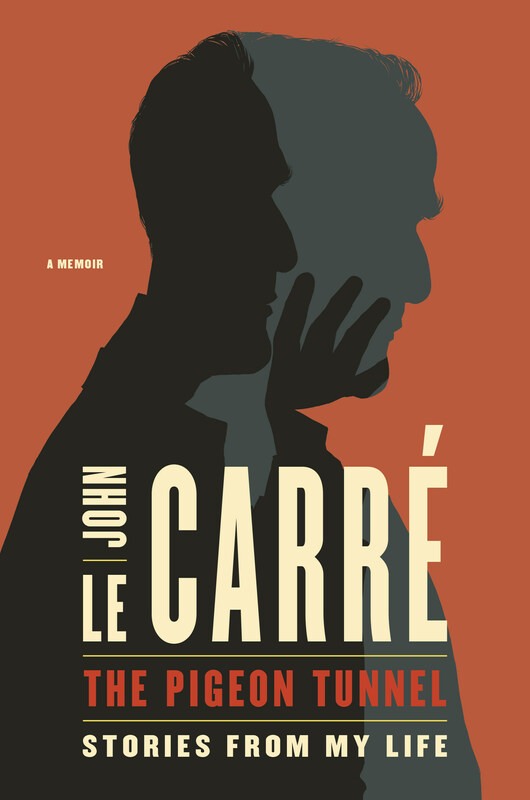 Ian Fleming Steel Dagger for the best crime thriller of the year – Don Winslow, The Cartel (USA, William Heinemann). A powerful account of the drug wars in early 2000s Mexico. John Creasey New Blood Dagger for the best debut crime novel – Bill Beverly, Dodgers (USA, No Exit Press). A double winner! See above. International Dagger for crime fiction translated and published in the UK – Pierre Lemaître, The Great Swindle, trans by Frank Wynne (France, MacLehose Press). This novel opens with murder in the last days of the Great War and continues in peace-time with profiteering, criminal negligence, cooked books and a spectacular fraud. Debut Dagger for unpublished writers – Mark Brandi, Wimmera (Australia). Fab is haunted by a terrible secret. 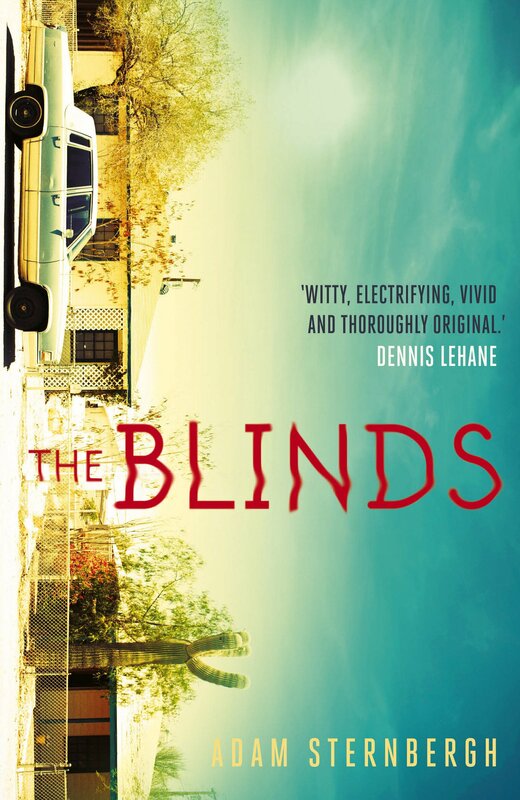 A chance discovery threatens to uncover his past, and expose the dark underbelly of Australian rural life. Endeavour Historical Dagger for the best historical crime novel – David Young, Stasi Child (Twenty7Books), which is set in East Germany in the 1970s. 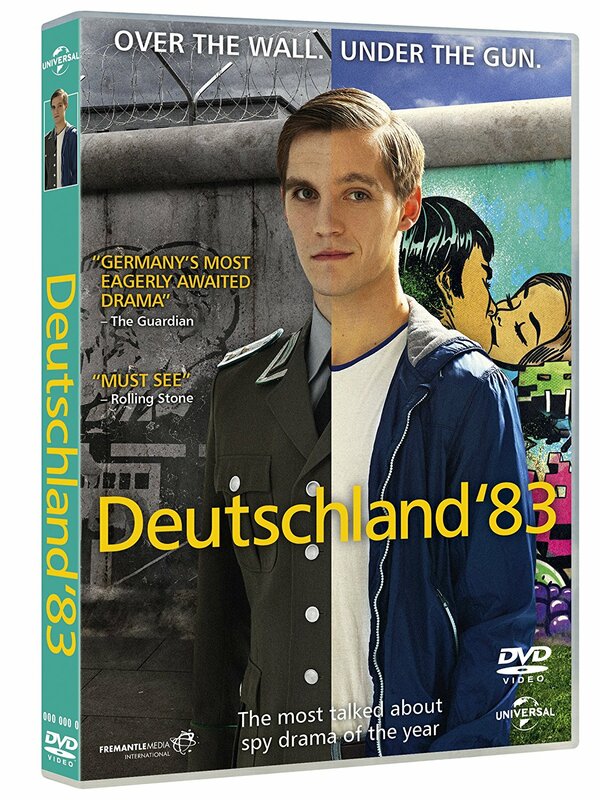 Oberleutnant Karin Müller is summoned to the Berlin Wall to investigate the death of a girl who has apparently been shot trying to cross the wall… from the West. Diamond Dagger for outstanding achievement – Peter James, the author of the much loved ‘Roy Grace’ series. Further information about the shortlisted books and winners is available at the CWA website. 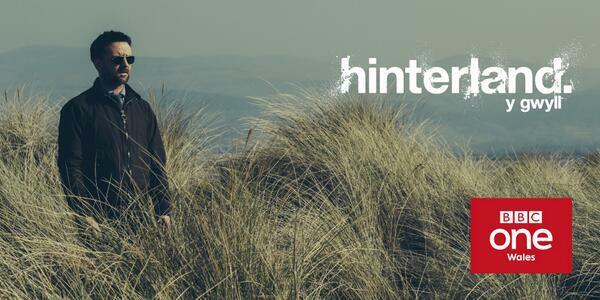 Posted on December 20, 2015 by Mrs P.
Series 2 of the acclaimed Welsh crime drama Hinterland kicks off on BBC One Wales with four 90-minute episodes from Wednesday, 23rd December at 9.30pm. Viewers outside Wales will be able to watch live on satellite (Sky channel 952 or Freesat 964) and cable (Virgin Media 864). 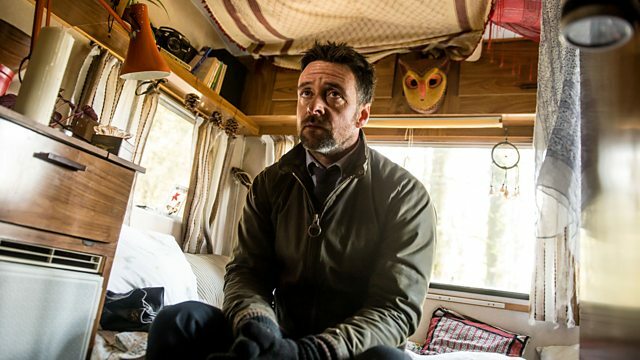 See below for an overview of Series 2 and some great insights from Hinterland’s producers/writers and Richard Harrington, who plays DCI Tom Mathias. 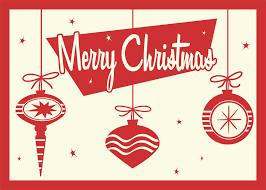 And rejoice! Here’s an absolutely wonderful two-minute sneak preview from Series 2, Episode 1… Just click on the image below. Richard Harrington told us about the challenges of playing the troubled Mathias in series 2, as more of his backstory is revealed. He was aware that some viewers felt frustrated at not knowing more about Mathias by the end of the first series, but didn’t feel it was a bad thing to keep the audience waiting a little. Series 2 was all the more exciting due to Mathias’ character development – a ‘seismic shift that changes everything’. The producers discussed the Welshness of the series from a number of intriguing angles. The brooding Ceredigion landscapes provide a ‘big space for big stories’. Hinterland is ‘a love letter to a disappearing Wales’ and a ‘distillation’ of a particular regional Welshness, but also a ‘made-up Wales’ that deliberately avoids contemporary political references to remain timeless. Harrington described the famously hostile Welsh weather as having a biblical feel and being an apt metaphor for Mathias’ mind. The producers are very proud of the drama’s Welshness. 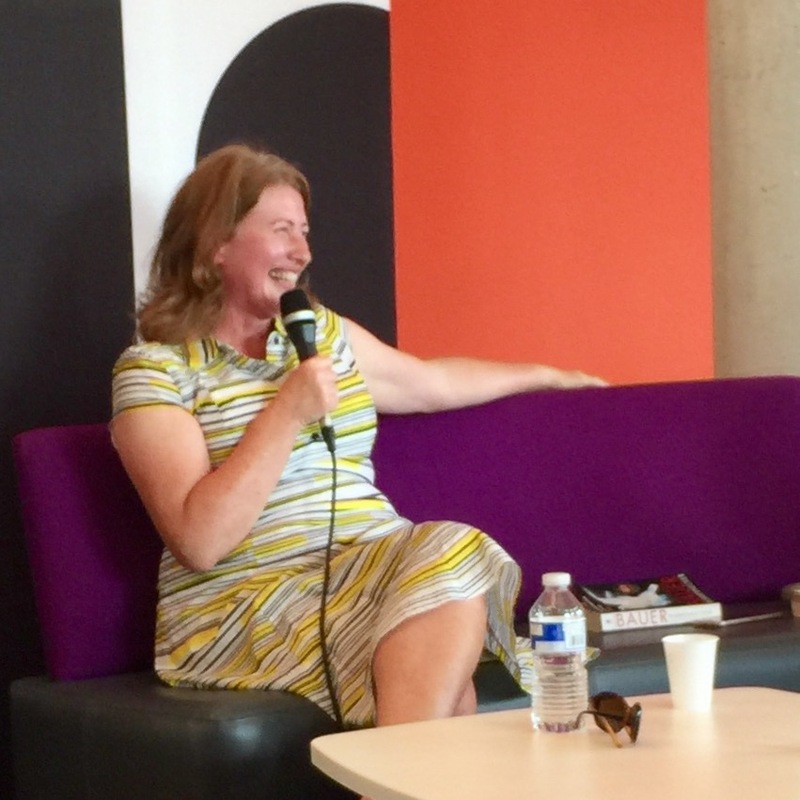 They talked of a Welsh ‘hunger’ for creating and consuming television dramas in both Welsh and English. These provide an opportunity to ‘reflect the Welsh back to themselves’ and to promote Wales to the world, which is a way of ‘helping people to get us better’. When the producers went to France, armed with images of amazing Ceredigion landscapes, they encountered a number of people who knew nothing about Wales, but loved what they saw. 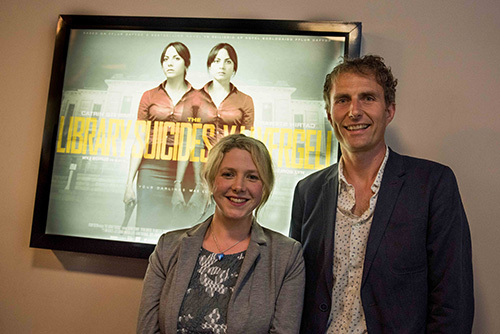 The series is shot completely on location in and around Aberystwth, and the producers feel this is key – they can’t imagine filming it in any other way. Harrington spoke about the challenges of filming in two languages. The series is filmed twice over – once in Welsh for S4C and once in English (with some subtitled Welsh) for the BBC. 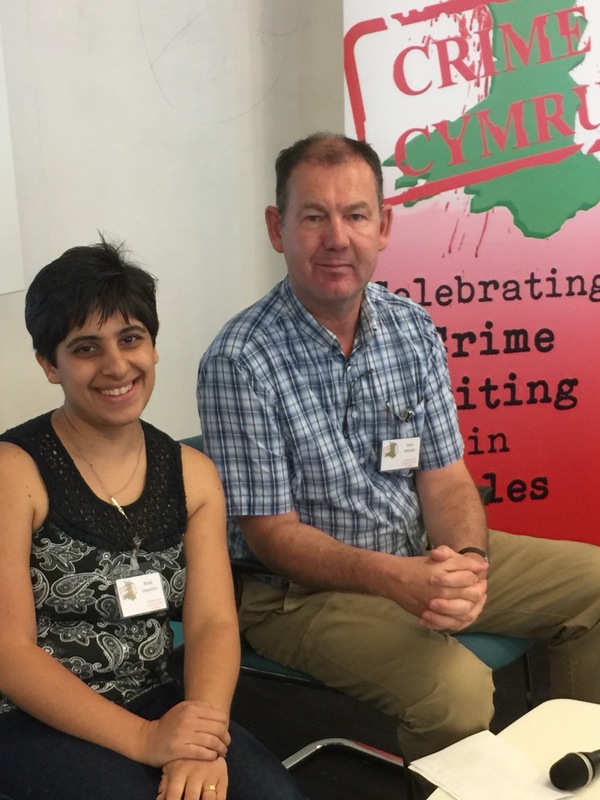 This is hard work for the actors, who tend to feel more comfortable in one of the languages, and requires flexibility on the part of the writers – for example, they have to find ways around procedural police language that doesn’t work as well in Welsh. But working bilingually is also rewarding, and Harrington says he ‘finds certain emotions in Welsh’ that he doesn’t find in the same way when speaking English. Hinterland/Y Gwyll has been a huge international success. It’s sold to over 30 countries and has been picked up by Netflix. The producers hope this will lead to further success stories for Welsh-made drama, but stressed that understanding the ‘physics of distribution’ is vital. Hinterland is made with investment from S4C, BBC One Wales and other partners, and feel this kind of approach is the way forward. They clearly know what they’re doing, as series 3 has already been commissioned and begins filming in early 2016. 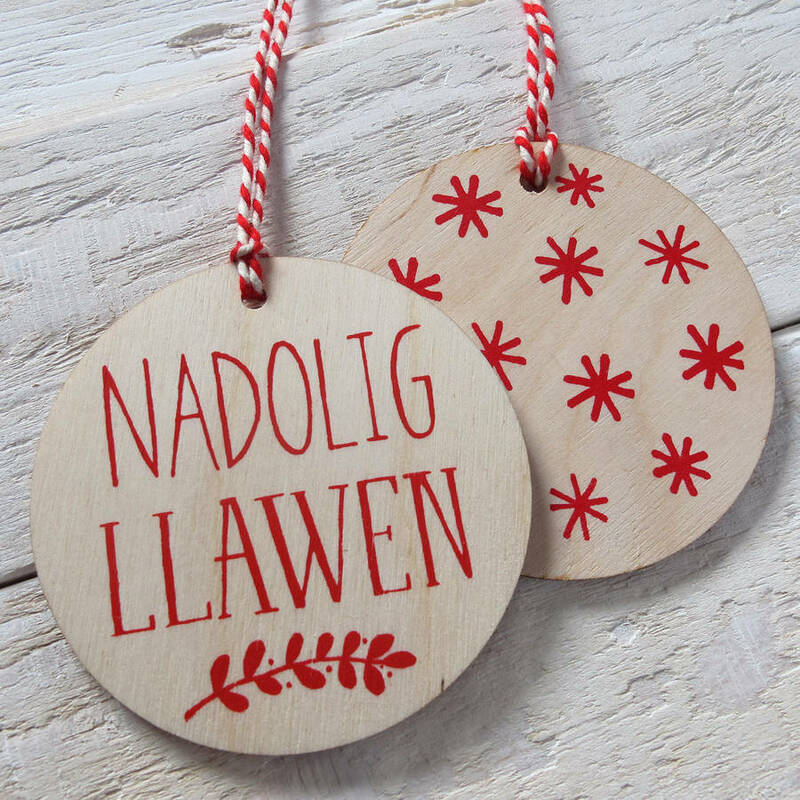 Wishing you all a very Merry Christmas – Nadolig Llawen from Wales! 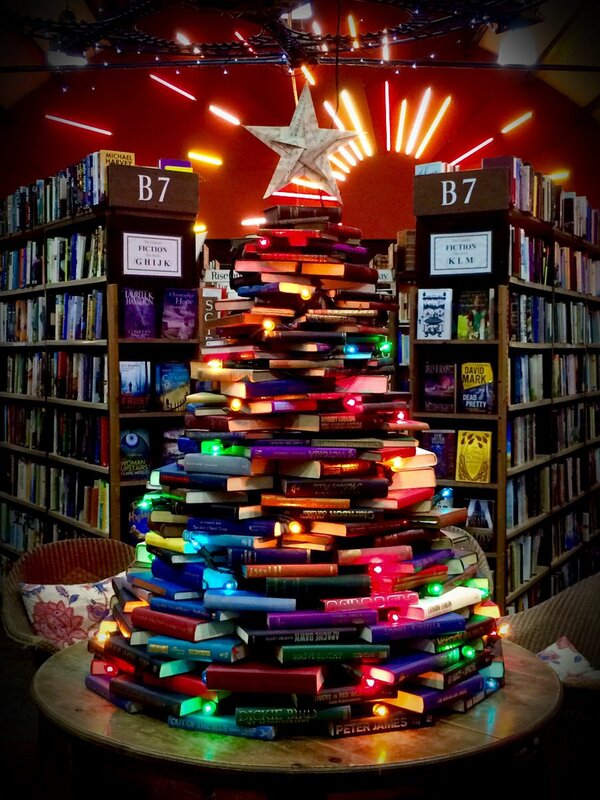 Posted on December 5, 2015 by Mrs P.
Wondering what to get the crime lover in your life for Christmas? Here are Mrs. Peabody’s 2015 recommendations to help you out. As ever, they’re based on my own top reading and viewing experiences throughout the year and are designed to appeal to readers with all manner of criminal tastes. Available from a wonderful independent bookshop near you! Sascha Arango, The Truth and Other Lies (GERMANY: trans. 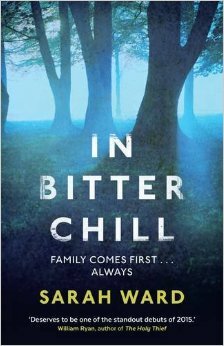 Imogen Taylor, Simon and Schuster 2015). For lovers of Patricia Highsmith with a contemporary twist. The central protagonist of this standalone crime novel is the novelist Henry Hayden, whose highly successful life begins to unravel when he makes a fatal error one night. Hayden is a darkly comic creation whose story – involving a talented wife, a demanding mistress and a floundering police team – is witty and entertaining. 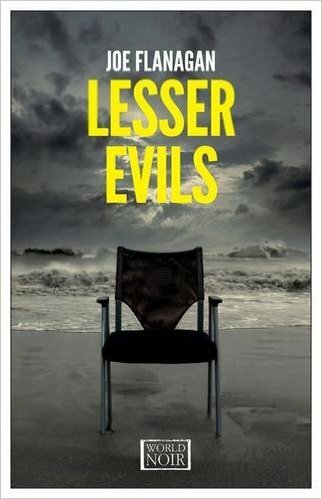 The author is a well-known screenwriter for the German crime series Tatort (Crime Scene) and you can read a bit more about his debut novel here. 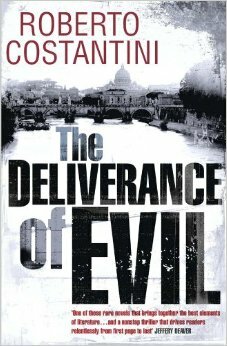 Roberto Costantini, The Deliverance of Evil (ITALY: trans. N. S. Thompson, Quercus, 2014). 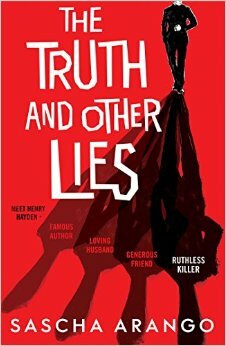 For lovers of complex crime fiction with strong historical, political and social themes. The first in the Balistreri Trilogy will keep its lucky recipient quiet for hours: a six-hundred page epic that spans twenty-five years of Italian history and tackles weighty issues such as religion, class and the legacy of Italian fascism, this novel is also a gripping murder mystery with an intriguing, morally flawed investigator – Commissario Michele Balistreri. Mrs. Peabody’s full review is available here. 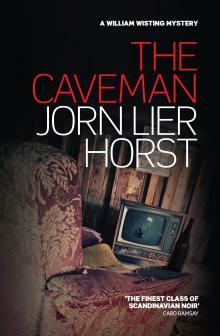 Jørn Lier Horst, The Caveman (NORWAY: trans. Anne Bruce, Sandstone Press 2015). For lovers of top quality Scandinavian police procedurals. 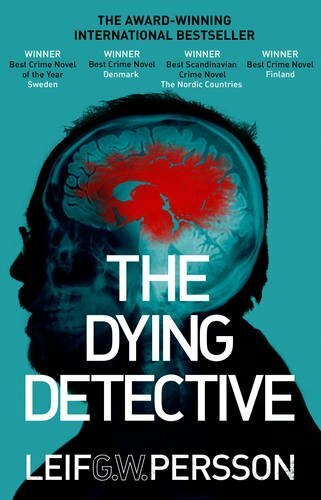 The fourth in the Norwegian ‘William Wisting’ series begins with the discovery of a four-month-old corpse in an armchair just down the road from the policeman’s own home. While Wisting investigates, his journalist daughter Line uses the case to ask some serious questions about society. Neither, however, are remotely prepared for where the case will eventually lead them. 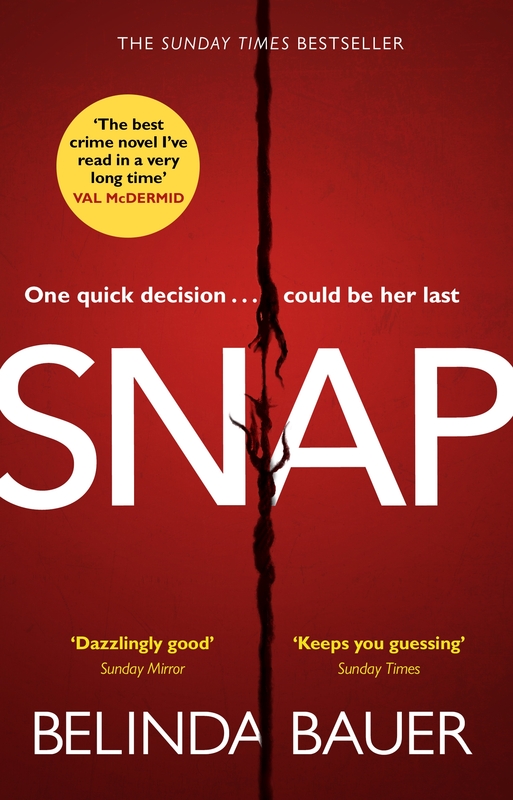 Elegantly written and completely gripping, this is Scandi crime at its best (and in my view it doesn’t matter where readers dive into the series). 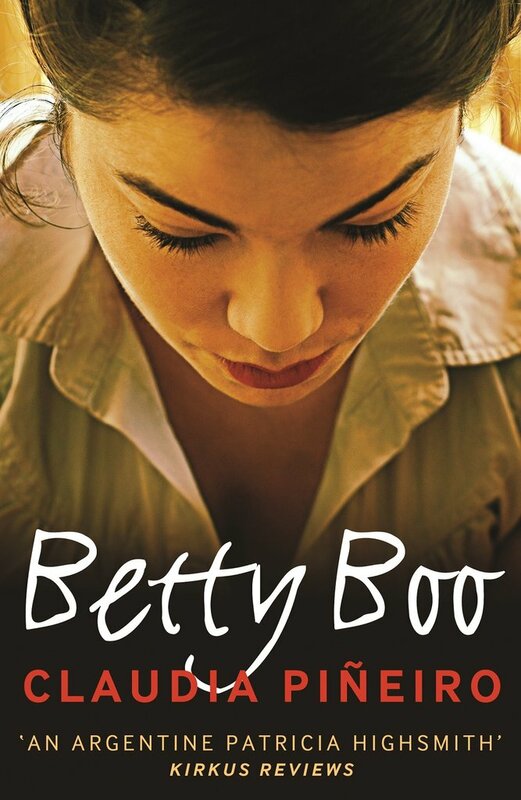 Mrs. Peabody’s interview with the author, a former police chief, is available here. 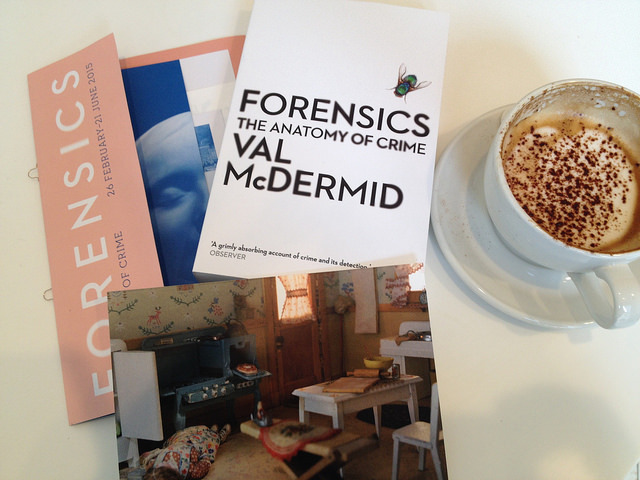 Val McDermid, Forensics: The Anatomy of Crime (UK: Profile Books, 2015). For those interested in the grittier, scientific side of criminal investigations. 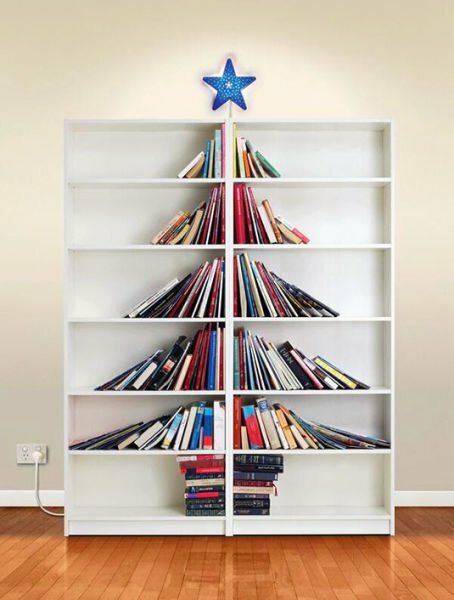 Not to be read directly before or after Christmas dinner. 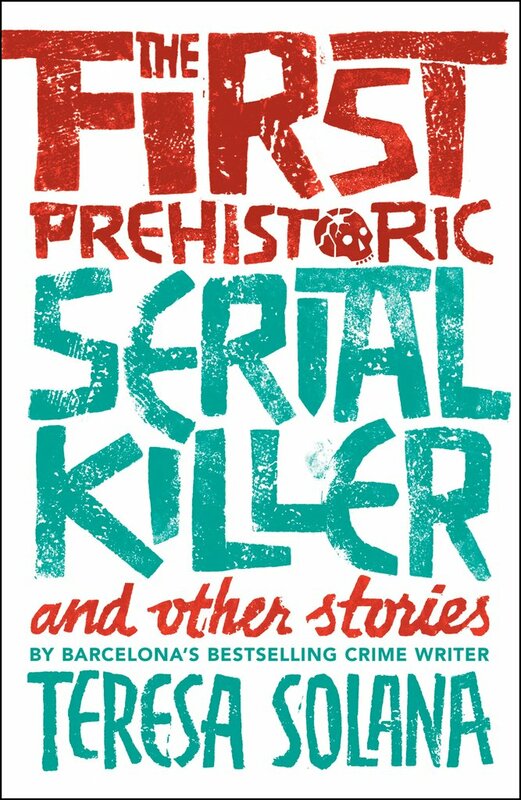 This fascinating book, written by crime author Val McDermid, accompanied the Wellcome Trust’s exhibition of the same name earlier this year. Taking us from the crime scene to the courtroom, chapters explore entomology (maggots), toxicology (arsenic most foul), fingerprinting, blood splatter/DNA, facial reconstruction and digital forensics. Grim, but genuinely illuminating, the book also pays homage to the investigators who use science to track down criminals and bring them to justice. Every contact leaves a trace! 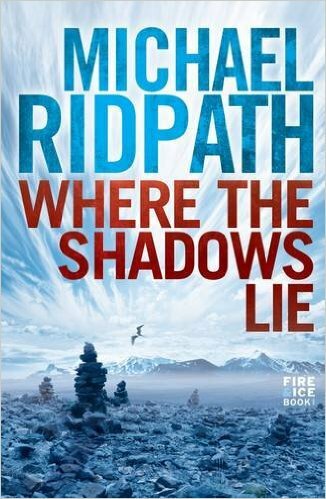 Michael Ridpath, Where the Shadows Lie (UK/ICELAND: Corvus, 2011). For lovers of Icelandic crime and The Lord of the Rings. I’m late to the party as far as the ‘Fire and Ice’ series is concerned. 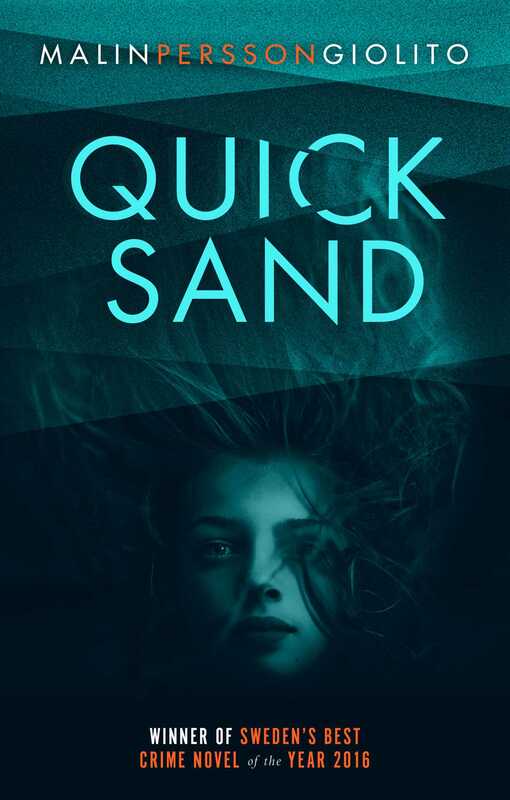 In this opening novel, readers are introduced to Icelandic-born, Boston-raised homicide detective Magnus Jonson, who is seconded to the Reykjavik Police after getting on the wrong side of a drugs cartel in the States. Soon, he’s busy investigating the rather nasty murder of an Icelandic academic, while getting reacquainted with Icelandic culture and society. 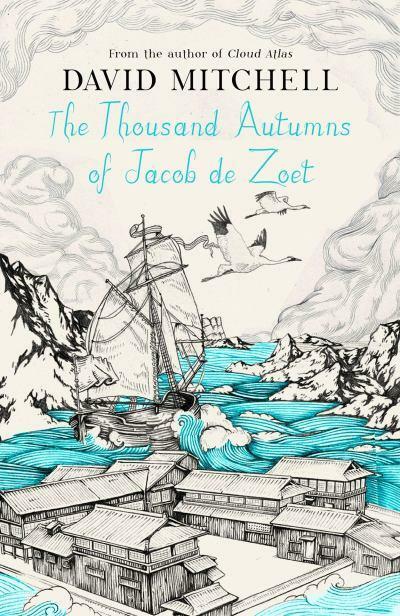 A highly enjoyable read that doubles as a great introduction to the land of ‘fire and ice’. 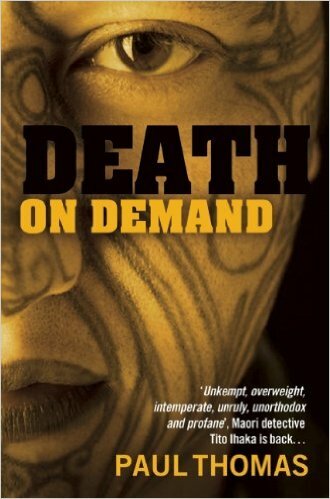 Paul Thomas, Death on Demand (NEW ZEALAND: Bitter Lemon Press 2013 ) For lovers of maverick detectives and astute social commentary. 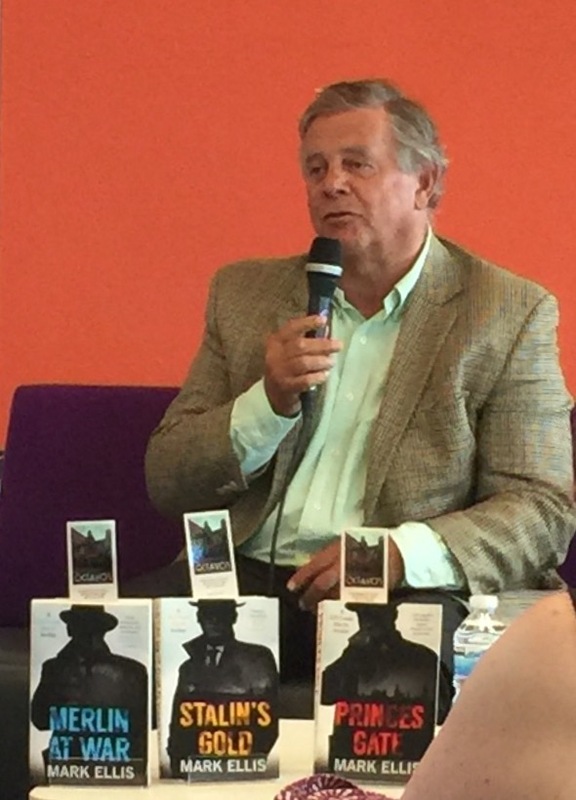 Thomas wrote three novels in the ‘Ihaka’ series back in the 1990s. This later installment was published in 2012 and is often described as one of his best (it works well as a standalone, so having read the previous novels is not a requirement in my view). 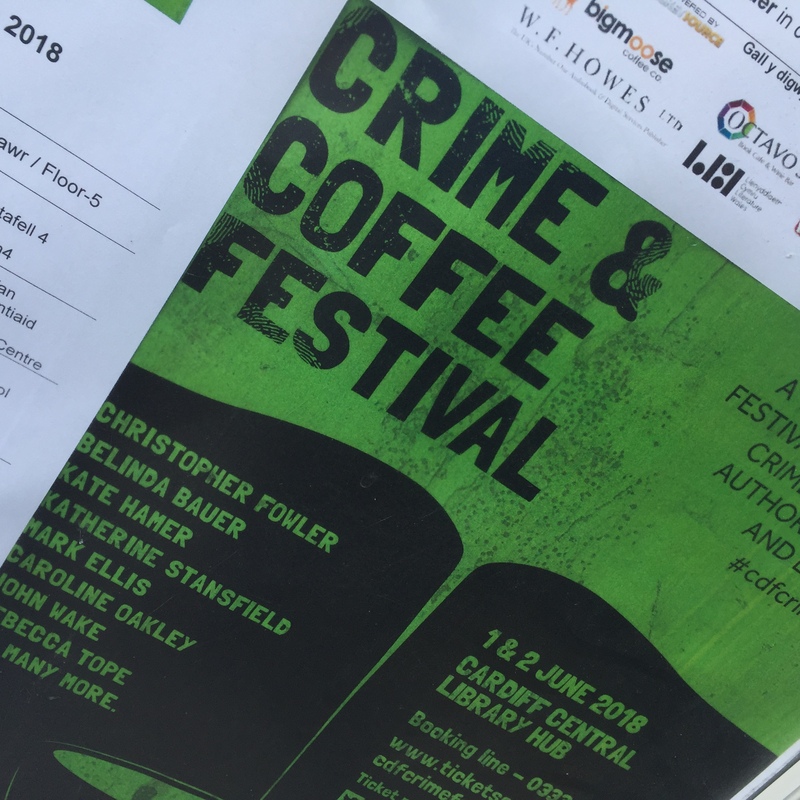 Highlights include the depiction of Maori policeman Tito Ihaka (‘unkempt, overweight, intemperate, unruly, unorthodox and profane’), an absorbing narrative and an insightful dissection of Auckland society. An extract from the opening is available here. 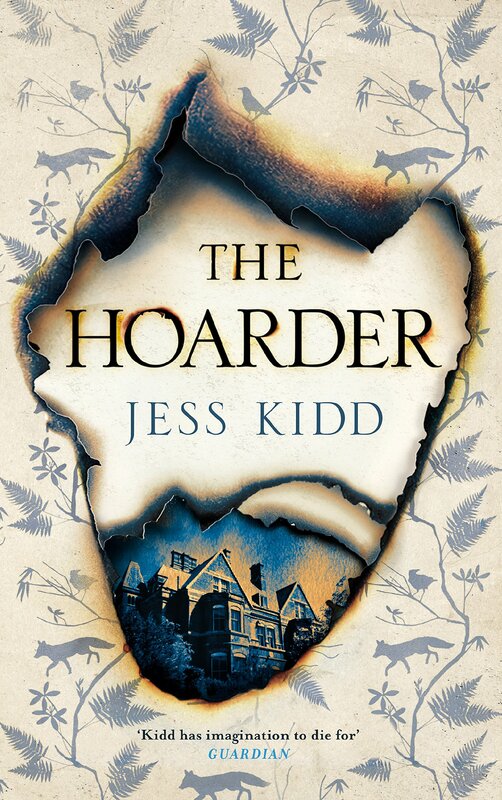 Sarah Ward, In Bitter Chill (UK: Faber, 2015). For lovers of absorbing, quality British crime fiction. 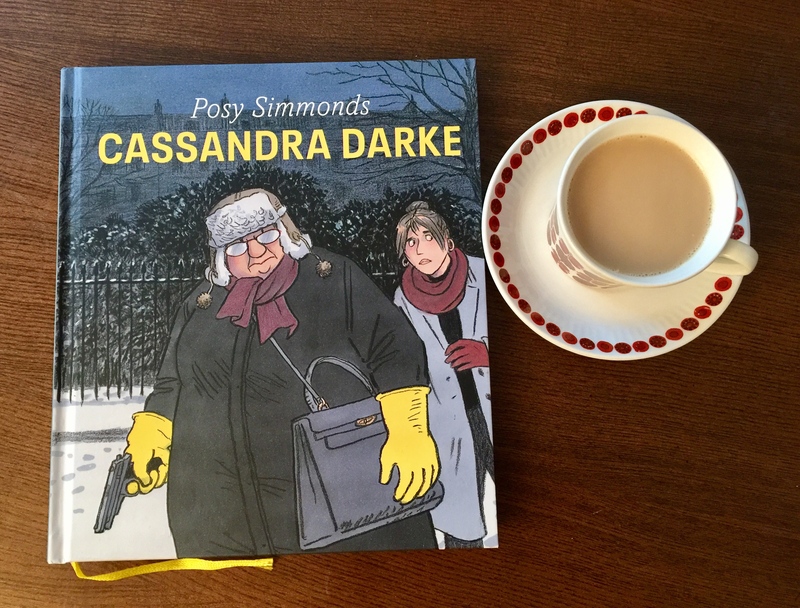 This tremendously polished debut is set in Derbyshire and focuses on an unsolved case from January 1978 – the disappearance of two young girls on their way to school. Only one, Rachel, is found and she has no memory of what happened to her friend. 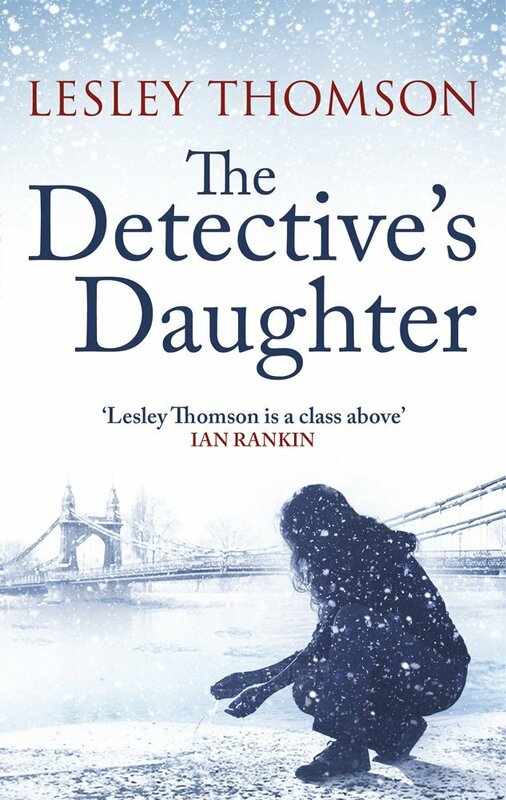 Thirty years on, a suicide triggers a review of the case by the local police team and Rachel finds herself being drawn unwillingly back into the past. With a narrative that moves deftly between past and present, this novel is a compelling read with a great sense of place. A full Mrs. Peabody review is available here. 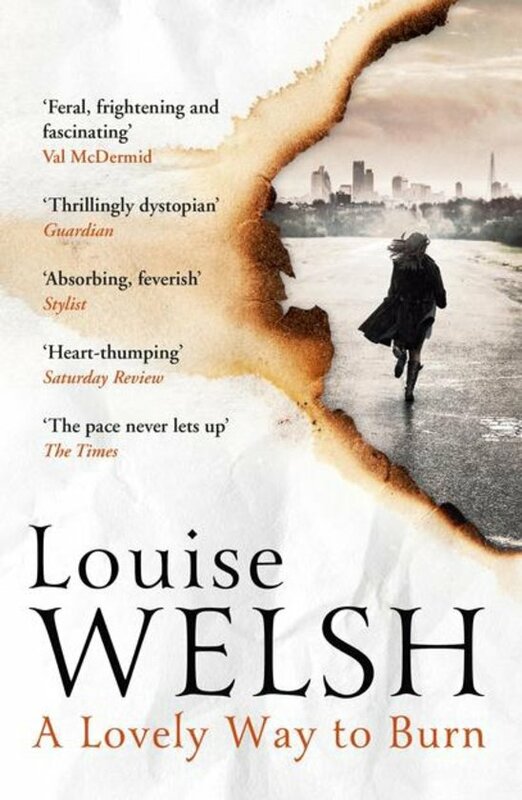 Louise Welsh, A Lovely Way to Burn (UK: John Murray, 2014). For lovers of dystopian or apocalyptic crime fiction. The first in the ‘Plague Times’ trilogy depicts a London engulfed by ‘the Sweats’, a pandemic that’s claiming millions of lives. But when Stephanie (Stevie) Flint discovers the body of her boyfriend, Dr. Simon Sharkey, it looks like a case of foul play. Stevie sets out to find out the truth behind Simon’s death and to survive – not necessarily in that order. An enthralling novel with a great heroine (and travelling by Tube will never be the same again). The second novel in the trilogy, Death is a Welcome Guest, is already out and is another fab read. River (UK: BBC/Arrow Films, 2015). For lovers of quirky TV crime series like Life on Mars. This crime drama, which was written by Abi Morgan and recently aired on BBC One, was an absolute standout for me. 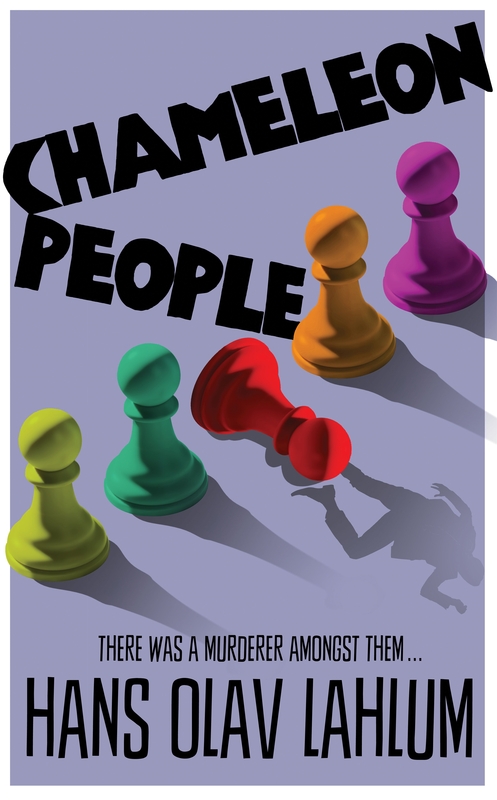 It seems to have divided audiences a little – not everyone liked or ‘got’ the concept – but those who did were glued to the screen as police detective John River tried to solve the murder of his partner, Jackie ‘Stevie’ Stevenson, while being helped (or hindered) by a number of ‘manifests’ or visions of the dead. This crime series did something truly original: it explored the effects of a serious mental health crisis with compassion, intelligence and wit. 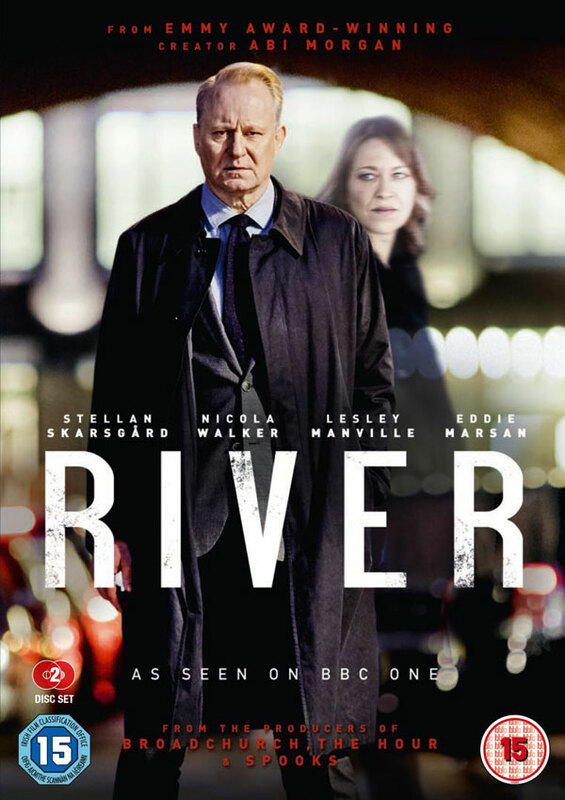 The acting by Stellan Skarsgärd, Nicola Walker and the supporting cast was also top class. For a fuller appreciation, see here. 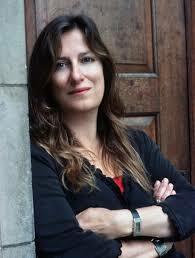 And there’s a great interview with Abi Morgan about the experience of writing River here. There’s a Guardian review of the film here. 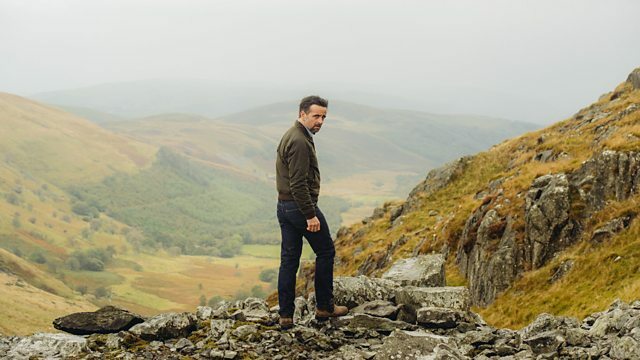 Posted on September 19, 2015 by Mrs P.
UPDATE: Hinterland series 2 airs on BBC One Wales on 23rd December 2015. For further details, see here. Last weekend was a bumper weekend for TV crime drama in the UK. Swedish crime drama Beck aired on BBC4 on Saturday, and the second series of Welsh crime drama Y Gywll / Hinterland began on Sunday on S4C. I hugely enjoyed the first series of Y Gwyll/Hinterland, which followed brooding DCI Tom Mathias and his team through a series of investigations in and around Aberystwyth in Wales. Well written and beautifully shot, with a brooding Cymru Noir feel, it’s polished crime drama that’s well worth viewing (see my earlier post here). The second series kicked off in style, with Mathias (Richard Harrington) dealing with the dramatic fall-out from his previous case and investigating the murder of a bus driver. We also begin to find out more about Mathias’ troubled past, when his wife arrives from London out of the blue. I was pleased to see this aspect of the narrative getting more attention, as it was the only thing I felt was under-developed in series 1, and will help to add definition to Mathias’ character – and to that of his partner DI Mari Rhys (Mali Harris), who’s also dealing with family problems. Those of you who saw series 1 will remember that two different versions were aired – one in Welsh and one in English. The series now on S4C at 9.00pm on Sunday nights is in Welsh with English subtitles – and I do recommend watching this one if you can to get a real flavour of the language. If you’d like to catch up, you can do so via Clic, S4C’s online version of BBC iPlayer (the subtitle button is on the bottom right of the screen next to the volume). You can see the subtitled trailer for episode 1 below. 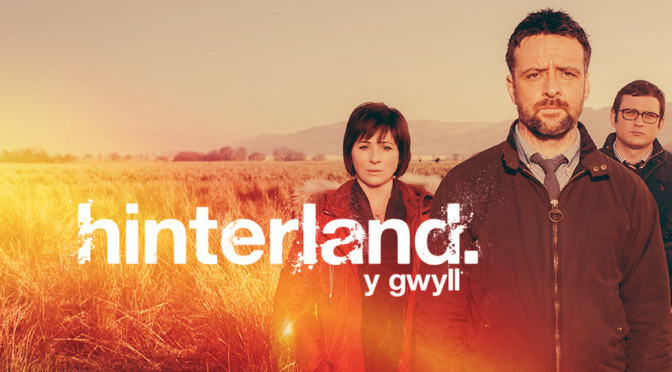 English version Hinterland (which still has some subtitled Welsh bits) will be broadcast on BBC Cymru Wales and BBC Four at a later date, yet to be confirmed. 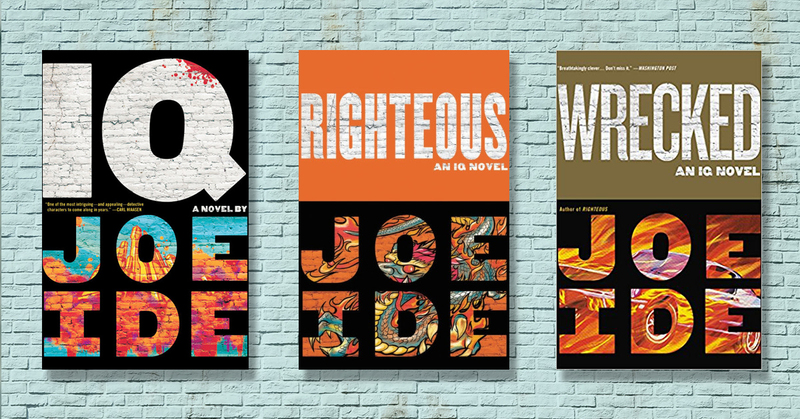 Welsh publisher Graffeg has dipped its toe into fiction with an intriguing collaboration. 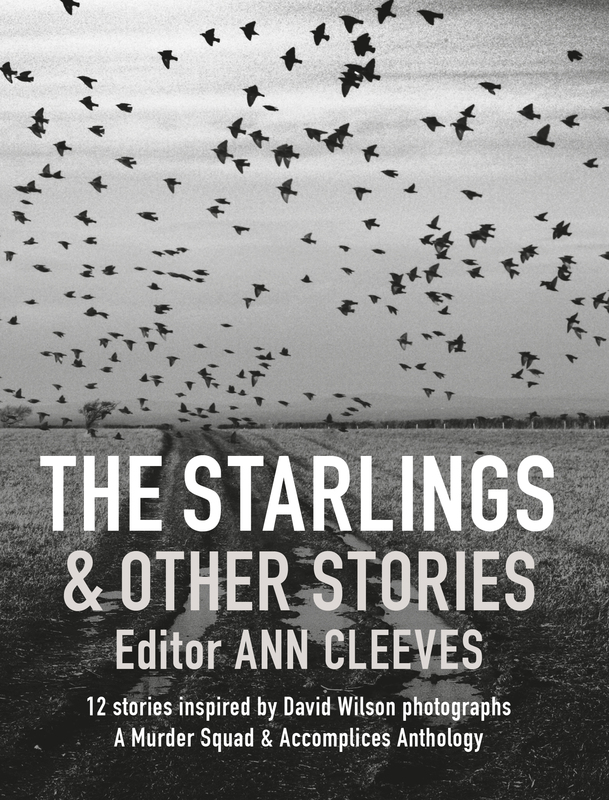 In The Starling & Other Stories, edited by Ann Cleeves, twelve crime authors have contributed stories inspired by David Wilson’s bleakly beautiful photographs of Pembrokeshire, and the result is an aesthetic delight: a high-quality softback that features twelve black and white photos ahead of the resulting tales. 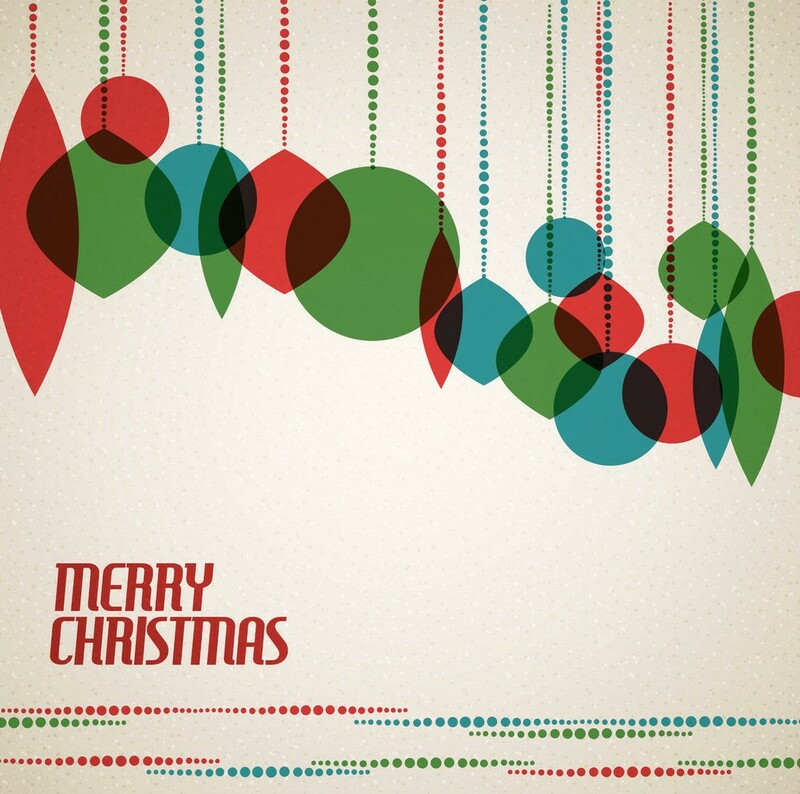 It’s very lovely and would make a pleasing gift (check out the online sample here). 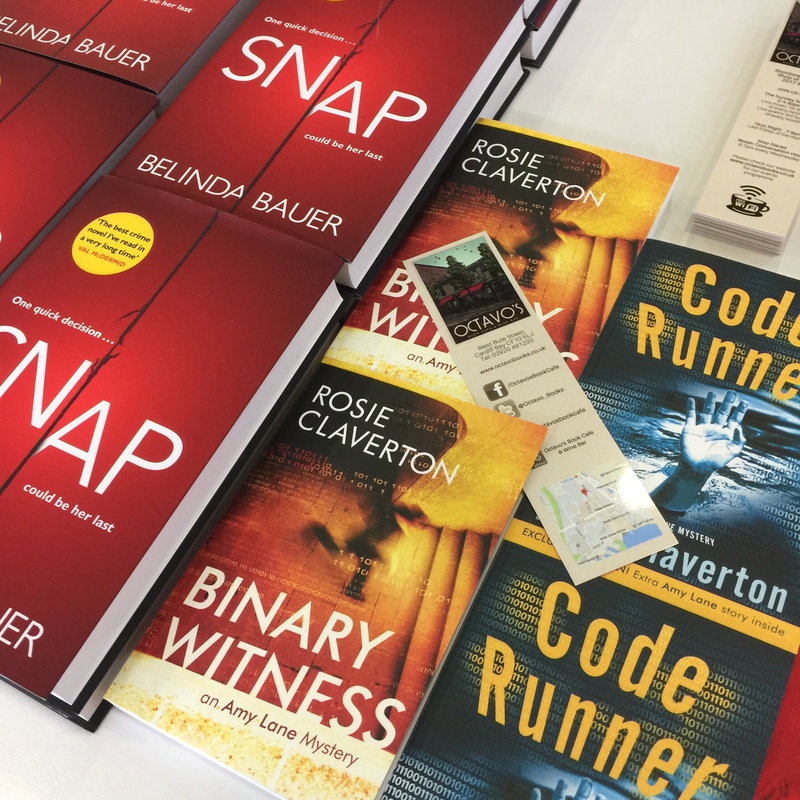 The authors are ‘The Murder Squad’ – Ann Cleeves, Martin Edwards, Cath Staincliffe, Chris Simms, Margaret Murphy and Kate Ellis – and six ‘accomplices’ – Christine Poulson, Helena Edwards, Valerie Laws, Jim Kelly, Mary Sharratt and Toby Forward. 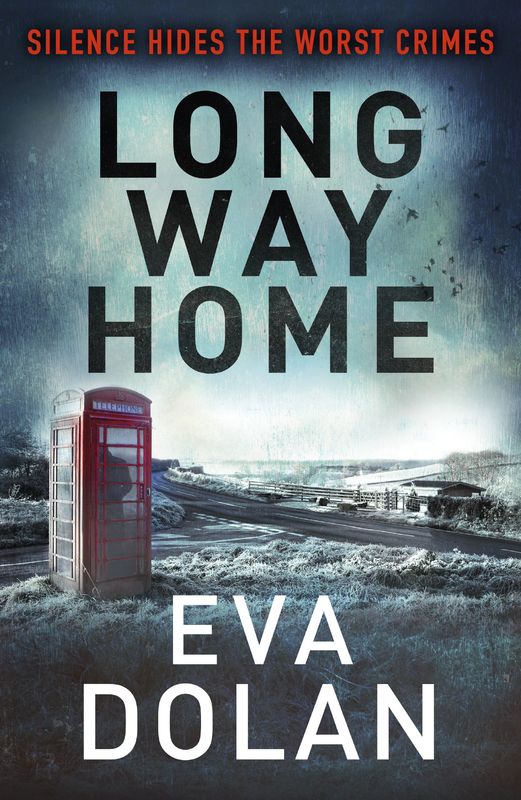 So far, I’ve dipped into ‘Homecoming’ by Cath Staincliffe and ‘The Starlings’ by Ann Cleeves (the latter featuring one of my favourite police investigators, Vera Stanhope) – both of which were great. Having the photographs as a starting point is also very effective: I found myself looking at the relevant photo in a fair bit of detail before reading the story, and was then watching out to see which visual or thematic elements the author picked up and how she wove them in. 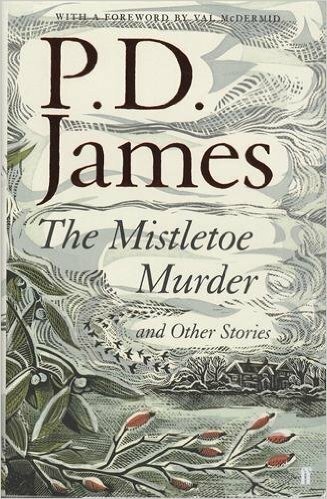 Great fun, and a feast for the eye and criminal imagination. Further details about The Starlings can be found over at the Graffeg website. 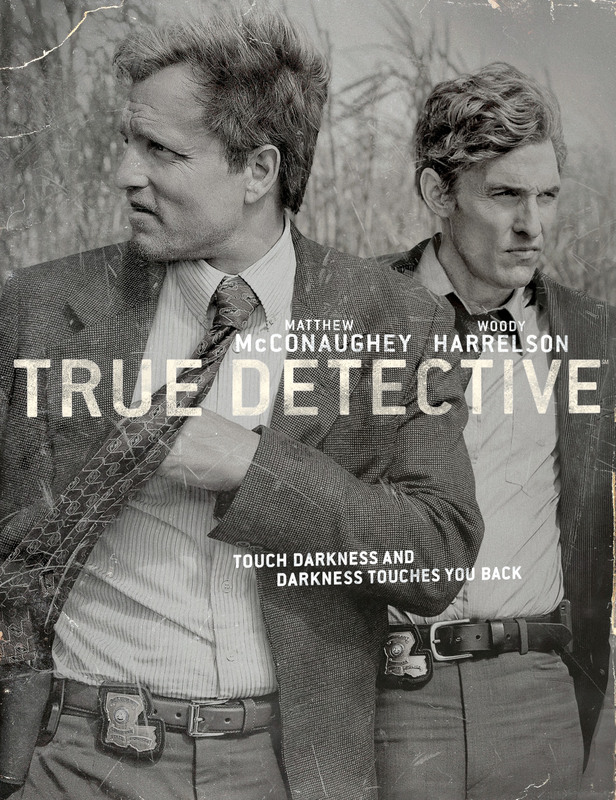 Posted on August 15, 2015 by Mrs P.
So…I know I’m late to the party, but I’ve *finally* managed to watch the box set of True Detective 1 (HBO 2014) that’s been sitting on my shelf for over a year. And what a treat it turned out to be – grown-up, complex crime drama at its absolute best. 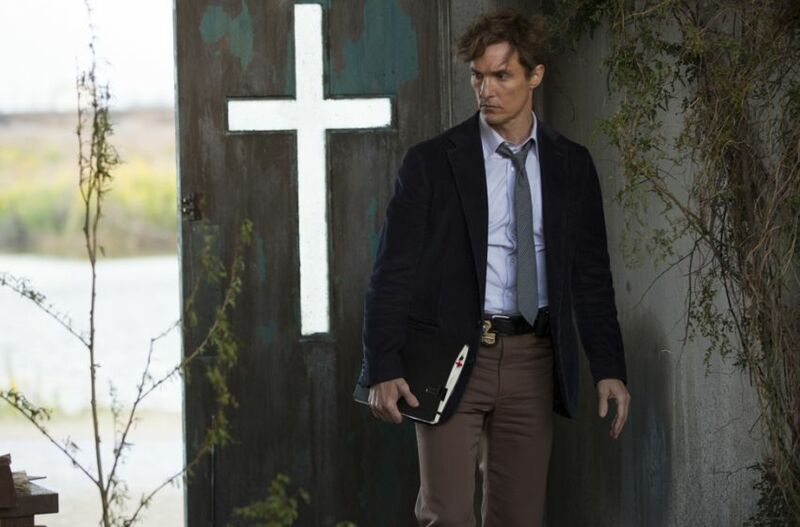 There was so much to like: the complex characterisation of Louisiana state police detectives Marty Hart and Rust Cohle, the absorbing interview/flashback structure, the stunning cinematography, the Deep South gothic-noir mood, and of course, that iconic title sequence featuring The Handsome Family’s ‘Far From Any Road’. I watched the series with my son, and we were both impressed with the consistently high standard of the eight episodes. We ended up rationing them to one an evening, because each was such a rich viewing experience that we wanted to dissect them afterwards. While the investigation – into the ritualistic murder of a woman and the earlier disappearance of a child – was extremely compelling, what lingered in my mind was the story of Marty and Rust’s own development and the evolution of their relationship over a period of twenty years. Their characters were very different, with individual complexities and flaws, and were brilliantly brought to life by actors Matthew McConaughey and Woody Harrelson. 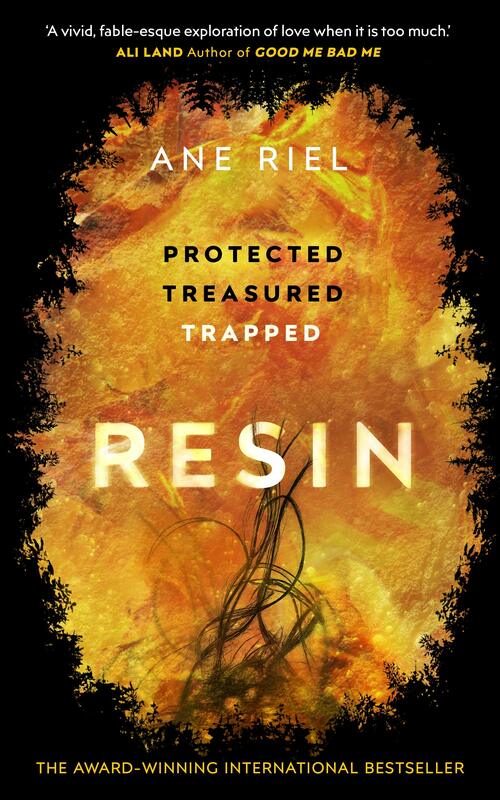 I particularly loved Rust’s tenacity (bordering on worrying obsessiveness) in refusing to let the case die. Here he is scouting a site for clues with his ‘taxman’ notebook. I hear that True Detective 2 hasn’t (ahem) quite lived up to expectations, so if you haven’t yet seen True Detective 1, now could be the moment to check it out. It will stand the test of time as a standalone series, I’m sure. Some very good news: a second series of Top of the Lake has been commissioned by BBC2, with Elizabeth Moss reprising her role as Detective Robin Griffin. There’s a major change of location, though: season 2 will be shot and set in Sydney, Australia and Hong Kong rather than New Zealand. I admit to having slightly mixed feelings about this, as the New Zealand setting was one of the big strengths of the first series for me. On the other hand, Jane Campion and Gerard Lee are once again co-writing, with Jane also set to co-direct, so I’ll be watching come what may. Production begins in December. There’s further information about season 2 at indiewire and if.com.au. 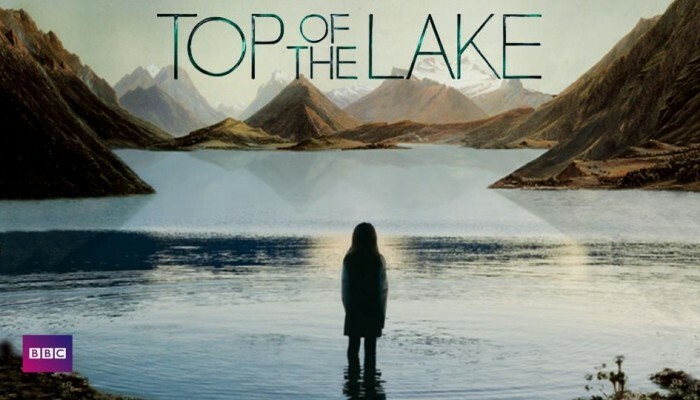 My earlier post on the first series of Top of the Lake (2013) and its wonderful female protagonists is available here. WalesOnline reports: >>The ground-breaking crime drama, starring Richard Harrington as DCI Tom Mathias, will premiere in Welsh, with optional English subtitles, on S4C in the prime drama slot of 9pm on Sunday nights. The first episode of the eight-part series starts on September 13 and Mathias’ wife Meg turns up, hopefully revealing some of the moody detective’s shady past <<. And here’s a nice little article by Kathryn Williams on ‘5 Things to Expect from Y Gwyll / Hinterland Series 2′. It looks like we’ll be finding out a lot more about both Mathias and Mared Rhys, which is a welcome development. While series 1 was great, a few people (myself included) thought a bit more backstory on the key investigators would have been good (see my earlier post here). The English-language version will be shown on BBC Cymru Wales and BBC4 at a later date. Riches galore. Posted on January 1, 2015 by Mrs P.
Here we all are in a shiny new year. 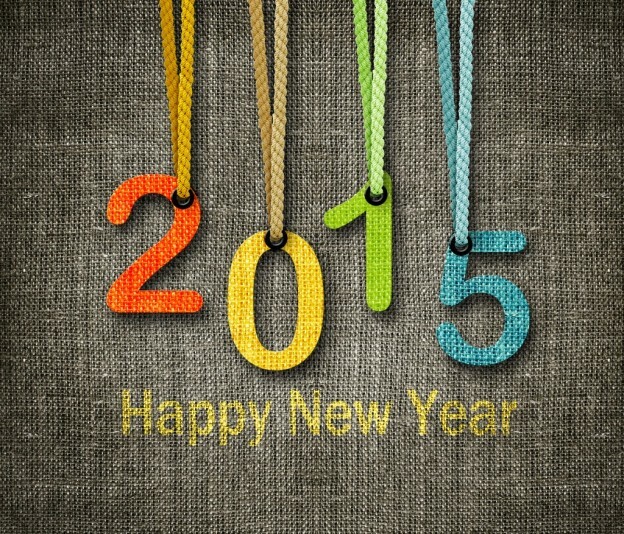 Wishing you and yours a very happy 2015! Head over to the S4C website for further information (in English), a trailer and details of how to activate subtitles. If you don’t have access to S4C, don’t worry – you’ll be able to access it later via S4C Clic online (the Welsh equivalent of iPlayer). The episode will no doubt also appear on BBC1 in due course. An earlier Mrs. Peabody post on Y Gwyll is available here, and a new series follows later in 2015. There’s an increasing amount of buzz about this series in the press. 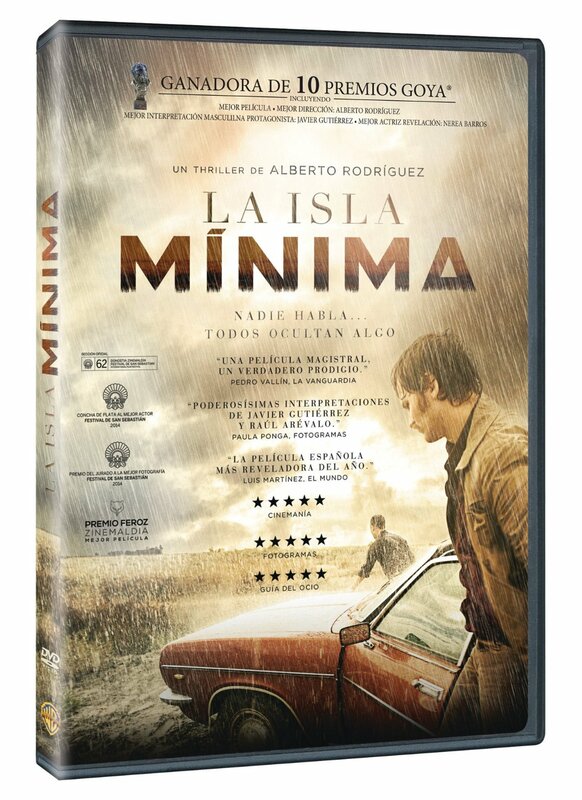 Drawing on Scandi Noir traditions, it features a stellar international cast (Stanley Tucci, Michael Gambon, Sofie Gråbøl, Christopher Eccleston), is set in a mining community in the Arctic Circle and was filmed in Iceland. From where I’m standing, that’s an impossible combination to resist. Sky’s description is as follows: >> Fortitude is a place like nowhere else. Although surrounded by the savage beauty of the Arctic landscape, it is one of the safest towns on earth. There has never been a violent crime here. Until now. 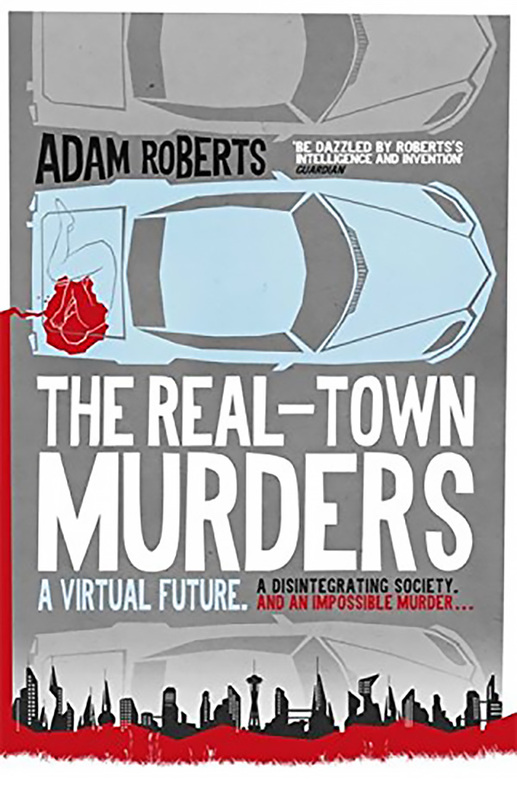 In such a close-knit community a murder touches everyone and the unsettling, mysterious horror of this crime threatens the future of the town itself. Alec Hardy (David Tennant) and Ellie Miller (Olivia Coleman) return for the second series of this crime drama set on the Dorset coast. I absolutely loved the first series and am intrigued to see where the storyline goes after the explosive revelations of the final episode. The fifth season of this gritty French crime drama will be a welcome addition to BBC4’s international crime slot on Saturday evenings. I’ll resist providing a description of the first episode in case there are some who’ve not yet seen the end of season 4 (that includes me), but if you’re interested in knowing more, you can head over to the BBC4 website. Crime Time Preview has a useful round up of further crime dramas (British and international) that are scheduled for 2015. It looks to be a promising year.